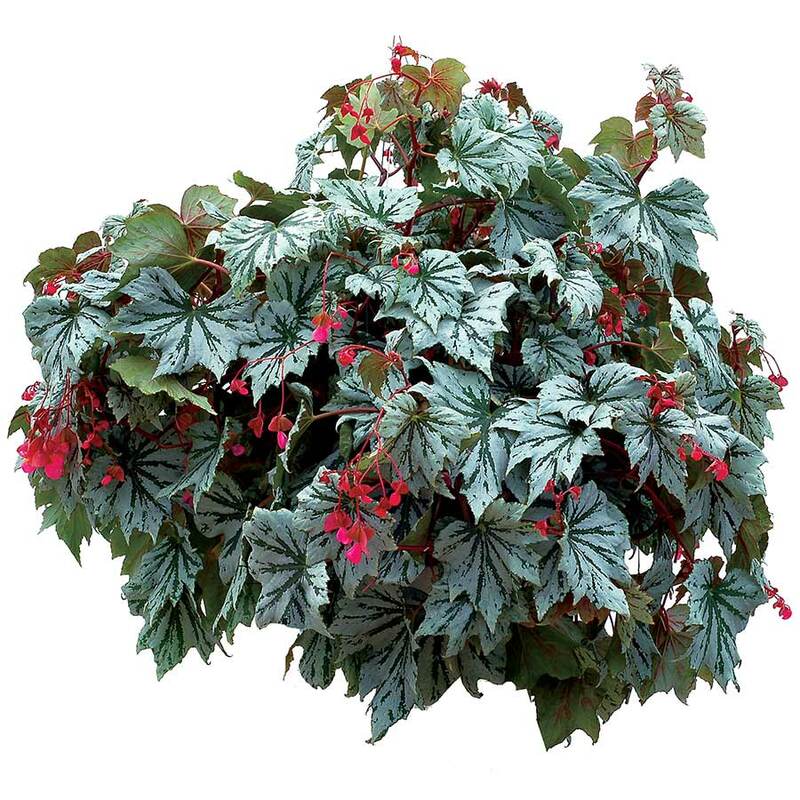 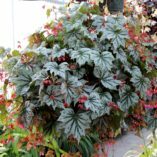 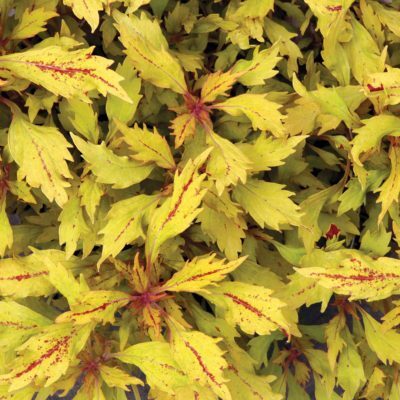 Begonia SPECTRE™ Silver | TERRA NOVA® Nurseries, Inc. 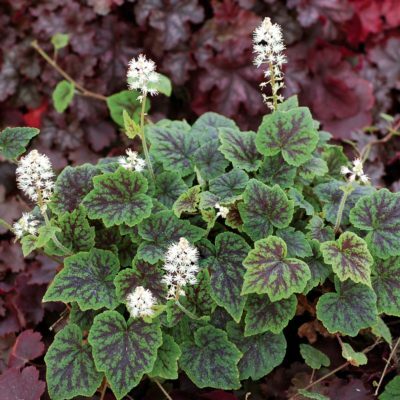 This unusual Begonia has broad, maple-shaped leaves of glowing mint green and silver-white. 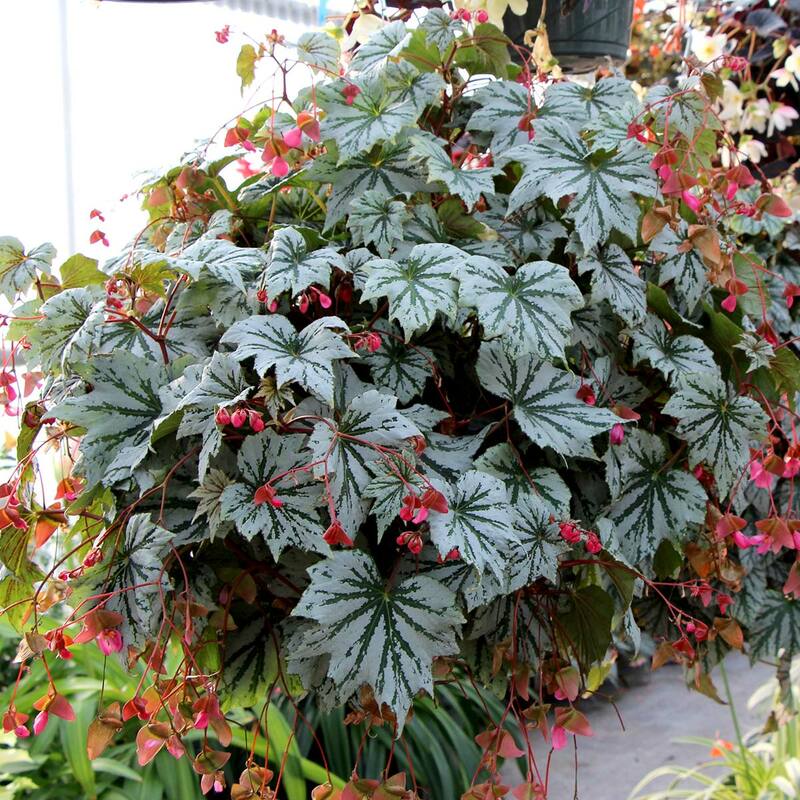 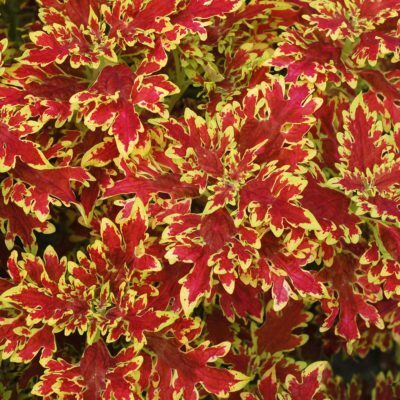 It is vigorous and well branched and forms an impressive 10″ basket. 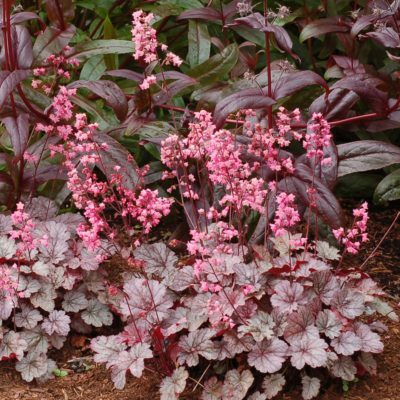 The flowers are red-pink and are long lasting, pendant, and showy. Easy to grow. 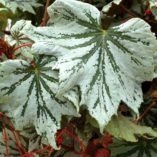 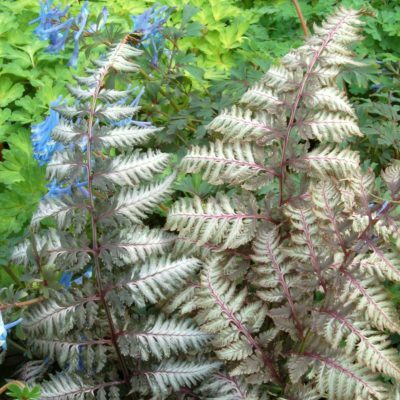 16" / 22" / –"
Compared to HOLIDAY™ 'Snowflake', it is wider, larger plant, with a bigger green pattern in the leaf.